There are a variety of different reasons why companies turn to factoring: some are experiencing a sudden wave of growth, while others are dealing with slow-paying customers or trying to navigate a new overseas market. What all these companies have in common is a short-term cash flow squeeze. That’s where factoring companies can help to turnaround an otherwise difficult financial situation. They can help you solve your cash flow problems quickly and reliably. Say, for example, that you’re a small- or mid-size oil company and you’re expanding quickly as a result of expanding production in a new geographic region. But where are you going to get the cash to finance the purchase of capital-intensive oil drilling and exploration equipment? One answer is factoring. That’s also the case if you’re dealing with slow-paying customers. Business can often be a delicate balance between managing your accounts receivable and your accounts payable. In the best of all possible worlds, your customers would pay immediately and your vendors would let you pay 60 to 90 days from the purchase date. But that’s not the way it often happens in the real world. Your customers start to request special payment terms, while your vendors start asking for their money sooner and sooner. That can lead to a temporary cash flow mismatch. That, too, is a potential situation where a factoring firm can help. 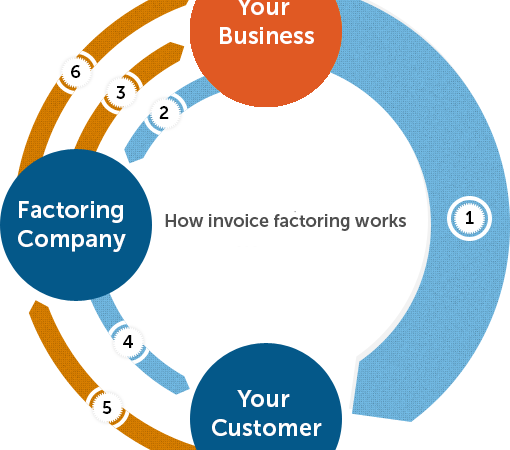 As part of a typical factoring agreement, you sell your invoices or accounts receivable to a third-party financial services firm known as a “factor.” This factor then takes over all collection activities related to those invoices or accounts receivable. You get anywhere from 70-90% of your invoices paid within a period of 24-48 hours, and then the balance of those invoices once they have been collected (less a small transaction fee). The bigger and more creditworthy your customers are, the more money you get upfront. You can immediately see why this type of factoring transaction would help out this hypothetical oil services company. It would get the money upfront to finance the purchase of expensive equipment, simply by having customers downstream who are going to purchase their oil or oil-related products at some later date. And this same business model applies to almost any other company that is primarily a B2B (business-to-business company). These include manufacturing companies, trucking companies, IT consultants, distributors, wholesalers and construction companies. It also includes medical doctors and hospitals. (True, they are not selling to other businesses directly, but they are working through insurance intermediaries.) That’s because these companies have clients that are relatively easy to assess as to their underlying creditworthiness. It’s a lot easier to assess the financial condition of a large, Fortune 500 company than it is an individual consumer, right? You can already start to see a few basic components of the classic factoring model: the existence of large, creditworthy customers; regular occurrences of short-term cash flow squeezes; and a mismatch between accounts receivable and accounts payable. Depending on the number of invoices that you process regularly, SmallBusinessLendingSource.com can set up a factoring arrangement of anywhere from $5,000 to $2 million. You get paid almost immediately on new invoices, and that means enough cash flow to keep your business running smoothly. Ok, that sounds good, you’re probably thinking, but why not just get a bank loan? Certainly, you do have a range of different financial options when it comes to addressing your business cash flow problems. But here’s the one big difference between factoring and bank loans that you need to know: what matters is not your own financial creditworthiness, but the financial creditworthiness of your customers. This may sound like a very subtle point, but it’s actually a very powerful insight for small and medium-sized businesses, who may not yet be at a point where they want to deal with a large bank. Plus, there’s much more paperwork to bring to the table if you’re trying to get a bank loan. You will need to provide audited financial statements, and you will need to interview with the bank. You will need to provide proof that you will be a “good borrower” – and that might mean collateral from your business. So, if you’re that hypothetical oil services company mentioned earlier, it might mean that the bank will want to take some of that new equipment as collateral just in case you can’t make repayments as planned. You don’t have those issues when you’re factoring. Yes, there’s still paperwork to fill out – but it’s not paperwork about you, it’s paperwork about your clients. If you’re dealing with large, commercially successful corporations, this is often very routine paperwork. And your “assets” are your invoices, not your capital equipment. Moreover, you get your money much sooner than you would if you were requesting a bank loan. Ultimately, factoring is all about solving short-term cash flow problems so that you can create a stable financial platform for future growth. That’s why more and more small business executives are taking a closer look at factoring. It’s a way of plugging a financial hole in a way that sets you up for business success later. If you’re a regional distributor, for example, factoring could be one way to pave the way for national expansion. If you’re a manufacturing company, factoring could be one way to expand new product lines and open new factories. And if you’re an IT consulting company, factoring could be one way to get a foothold into a fast-growing segment of the tech sector. In tech, remember, you have to worry about the first-mover advantage. Factoring can help you act much more quickly and be an early mover when market conditions shift in your favor. Perhaps the best part of all about factoring is that you can get a quote within minutes. If you have an idea of the size of your monthly invoices and accounts receivable, as well as the size of your current cash flow gap, it’s possible to put together a factoring arrangement that makes sense for you. Doing so will prepare you to take that next big step in the future success of your small business.